Whether you are running Ubuntu 18.04 desktop or server the IPv6 network addresses are enabled by default. In most of the cases this default setting can be simply ignored. However, in case that you need to disable the IP version 6 network protocol on your Ubuntu 18.04 Desktop or Server this tutorial we help you to do just that. IPv6 network protocol is enabled on Ubuntu 18.04 Linux by default. 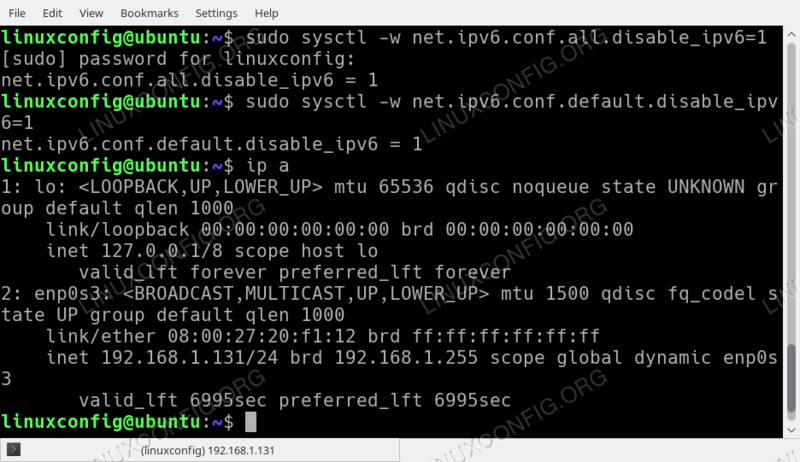 Execute ip a linux command from your command line to see your current network settings. After executing the above sysctl command the IPv6 network addresses are no longer present. WARNING: Please note, that at the time of writing this method to disable IPv6 after reboot using /etc/sysctl.conf configuration file on Ubuntu 18.04 does Not work. However, this seems to be a bug so feel free to try. 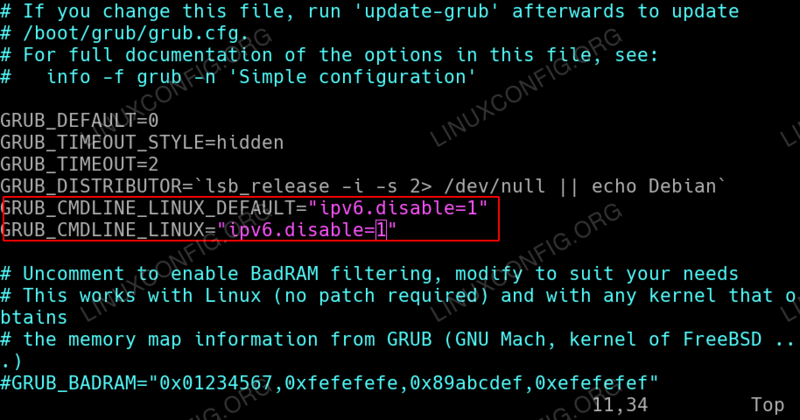 The recommend method to disable IPv6 on Ubuntu 18.04 after reboot is to configure the GRUB boot loader to pass kernel parameter during the boot time. Disable IPv6 protocol after reboot on Ubuntu 18.04 using GRUB. All done. Optionally reboot your Ubuntu 18.04 system. to apply changes made to the GRUB boot loader configuration.